Make sure you’re in skilled hands. Charges associated with drug sales and drug trafficking are much more severe than other drug-related crimes in Pennsylvania. With a higher punishment comes a higher proof requirement for the police and prosecutors. Sometimes, there are serious flaws in a drug investigation that can lead to dropped charges. Many cases also have opportunities for defendants to plead to simple possession offenses, shaving time and fines off a potential sentence. 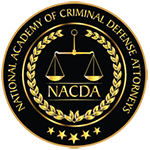 Hiring an aggressive an experienced criminal defense attorney is your best chance at beating the Government’s burden of proof and getting the charges reduced or dropped. 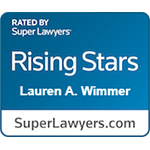 Criminal defense attorney Lauren Wimmer will pursue all defenses available in your case. From attacking the evidence of intent, to challenging police evidence, to challenging a case based on entrapment, Ms. Wimmer will fight to beat your charges. If you are facing drug trafficking or intent to deliver charges in Philadelphia call for a free consultation now at 215-712-1212. Learn how I aggressively work to reduce the charges you actually face as well as the consequences which may result. Possession of drugs with the intent to deliver. Note that “delivery” is when one person gives the drugs to another, whether or not they sell them for money. When police catch someone carrying large quantities of drugs, their burden is high to prove PWID. Proving someone possessed drugs may not be difficult if the police actually caught an individual with drugs in their pockets, bags, or car; the difficult part is proving that the person intended to deliver the drugs. There is no threshold where a certain quantity of drugs is automatically considered PWID. Instead, police and prosecutors must demonstrate the defendant’s actual intent to deliver the drugs. This is usually done with a combination of facts and expert opinions. When drugs are possessed alongside scales, large amounts of cash, and weapons, it becomes more clear that the owner intended to distribute the drugs. Additionally, if the alleged dealer has individual quantities (rather than one large sum of drugs), cash to make change, and multiple pagers or cell phones, it also becomes more clear that the defendant may be selling drugs. Some police and experts are trained to recognize the intent to deliver by pointing to specific facts like these. In any case, though, convincing a judge and jury of the individual’s intent is difficult. Cases are very different when undercover police or informants are involved. Many times, these police or informants will pose as buyers, distributors, or other dealers and try to get people to sell them drugs. If police or informants, whether they are undercover or not, actually witness a drug sale or delivery, they do not need to prove the intent to deliver. Instead, their testimony about the actual sale or delivery could be enough to put you behind bars. Sometimes, however, these kinds of situations can be argued to be entrapment. “Entrapment” refers to a situation where the defendant had no intention to commit a crime, but only committed the crime because a police officer convinced them to do it. When undercover police try to convince people to sell them drugs or help them find dealers, they may be entrapping otherwise innocent people into committing crimes. 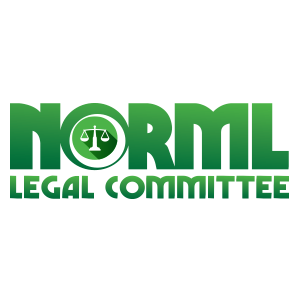 In general, possession with the intent to deliver, drug manufacturing, and drug delivery are all listed under the same crime. This crime, generally called PWID, is a felony, except under some circumstances. The possible sentence changes based on the type of drug and amount possessed. For any narcotic drug listed as “Schedule I” or “Schedule II” drugs, the crime holds a potential of 15 years in prison and $250,000 in fines. This means a defendant can face prison time, the fine, or both. The fine could also increase to cancel out any profits the defendant made from selling drugs. Possession of these drugs with intent to distribute carries the harshest penalties. 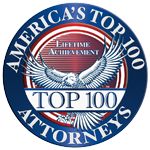 Possession of other particular drugs has a punishment of 10 years in prison and a fine of up to $100,000, or a fine high enough to erase any profits. The drugs that trigger this penalty include any amount of coca leaves and more than 1,000 pounds of marijuana. Possession of Schedule V drugs with the intent to sell is the only misdemeanor on this list, punishable by up to one year in prison and fines up to $5,000. Schedule V drugs include certain cough syrups and other drugs not typically sold illegally. 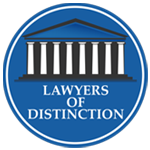 Are you facing drug trafficking or intent to deliver charges in Philadelphia or eastern Pennsylvania? 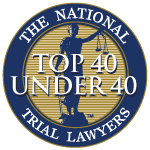 Contact Wimmer Criminal Defense or call 215-712-1212 for a free consultation. I aggressively work to reduce the charges you face as well as the consequences that may result. Lauren Wimmer helps clients fight all levels of drug-related charges. Ms. Wimmer can represent you on your case, fight the government’s evidence, and work to get your case dropped or reduced.